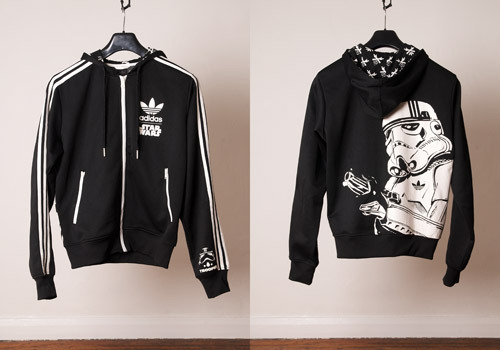 Inspired by Darth Vader’s menacing stormtroopers, this hooded track top was made for the second wave of Stars Wars x adidas releases. The soft black cotton track top is contrasted with white stripes and zipper chains. 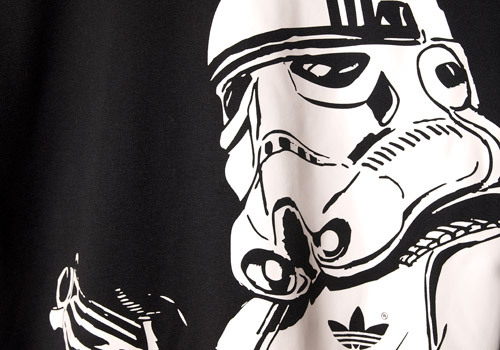 The main details included a large print of stormtrooper on the back, decked out with a three-striped helmet and an adidas brand coat of space armor. 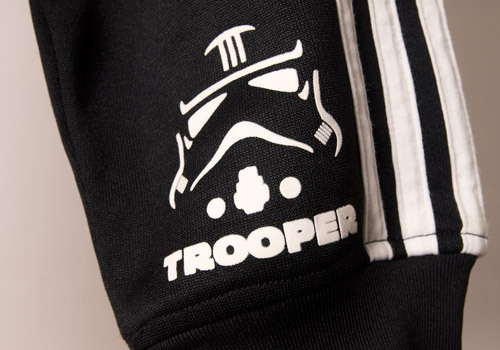 A small trooper face is printed on near the cuff of the left sleeve. 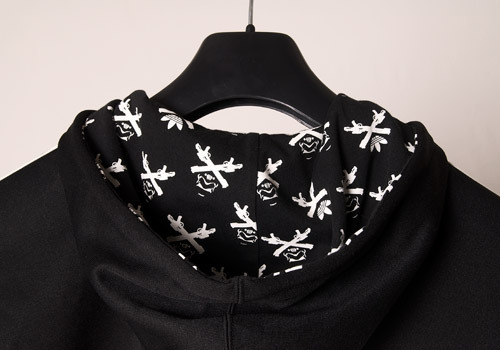 The interior of the black hood is patterned with a repeating white symbol that resembles a skull and cross bones, except that it’s built with a trooper’s face and weaponry. 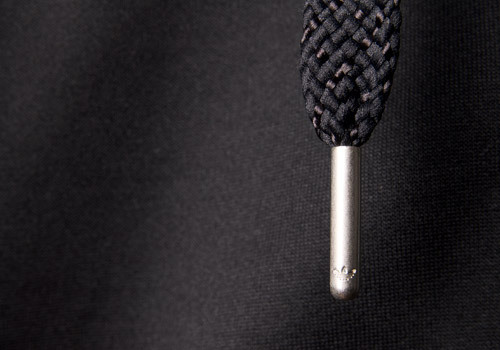 The thick drawstrings are nicely done up with metal tips etched with tiny trefoil logos. 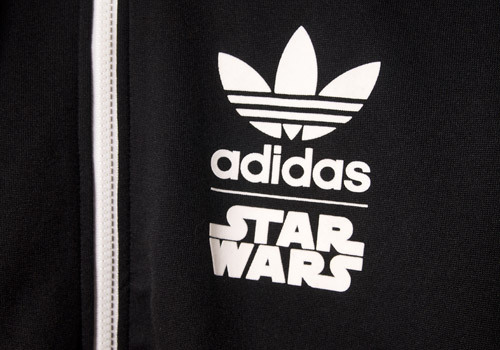 Branded on the left breast with the adidas trefoil and Star Wars logos, the stormtrooper track top goes quite well with the Conductor Hi that was released in the same series. how can i get this? ?